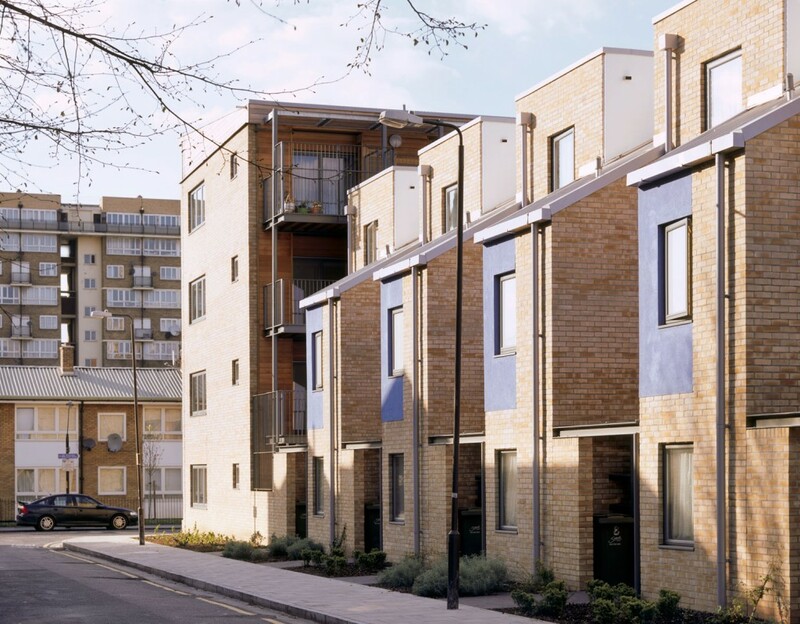 This major urban regeneration project for joint venture clients Peabody Trust and the London Borough of Southwark, involved the demolition of 1960s blocks of flats and their replacement with mixed tenure new build housing. 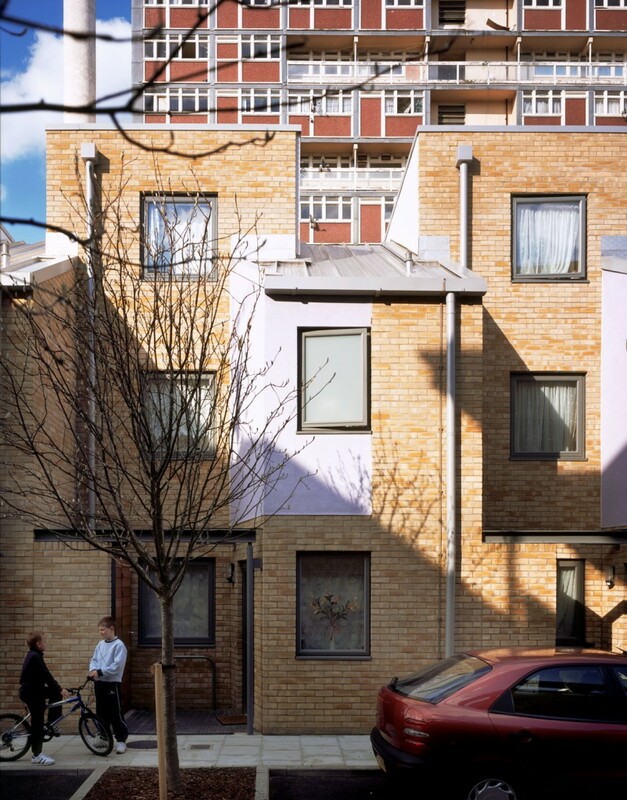 Designed around four semi-private and secure courtyards, the new housing responds to the residents’ concerns about security and was developed in consultation with the local crime prevention officer applying the principles of Secured by Design. The dwellings have been designed to Lifetime Homes standards with 10% wheelchair-access provision. 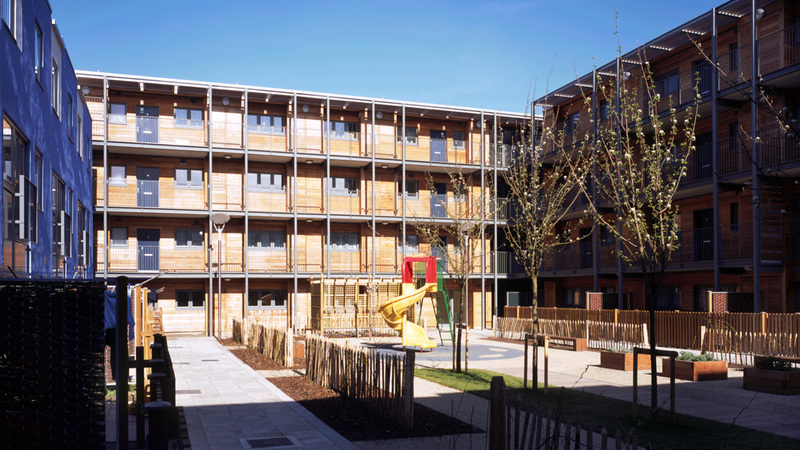 CABE Building for Life Silver Standard 2008; Finalist: Well Designed and Well Built Category / ASC Award for Sustainable Communities 2007; Commendation: The Civic Trust Awards 2006; Short-listed: HBF / WWF Sustainable New Homes Award 2004.